Friends, we’re looking forward to 12.8. Will we see you? 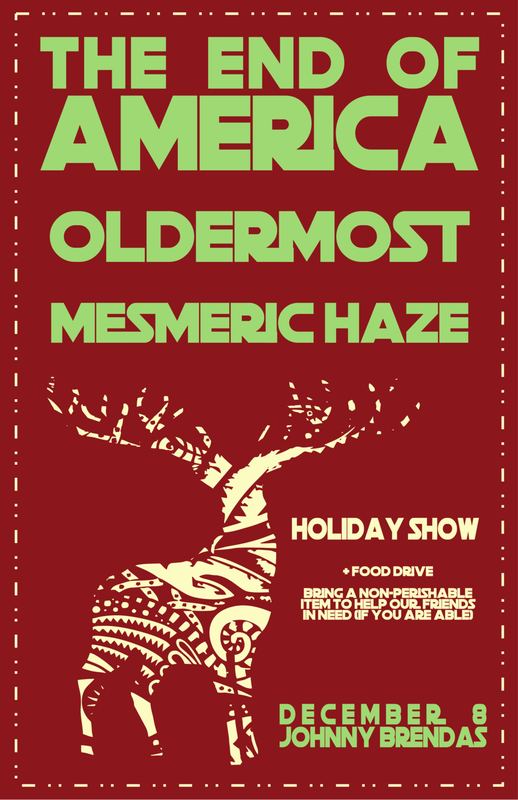 We’re playing Johnny Brenda’s with our friends Oldermost and Mesmeric Haze. The show is $12, starts at $8. Please consider bringing non-perishable food items for donation! If you do, you’ll be entered in our merch giveaway. Sweet.